Urecon's U.I.P.® processed pipe is insulated with rigid polyurethane foam, the best insulation commercially available on the market today. Founded in 1969, Urecon has been pre-insulating pipe with its void free U.I.P.® insulation process since 1972 out of St. Lazare, Quebec and since 1981 out of our Calmar, Alberta plant. 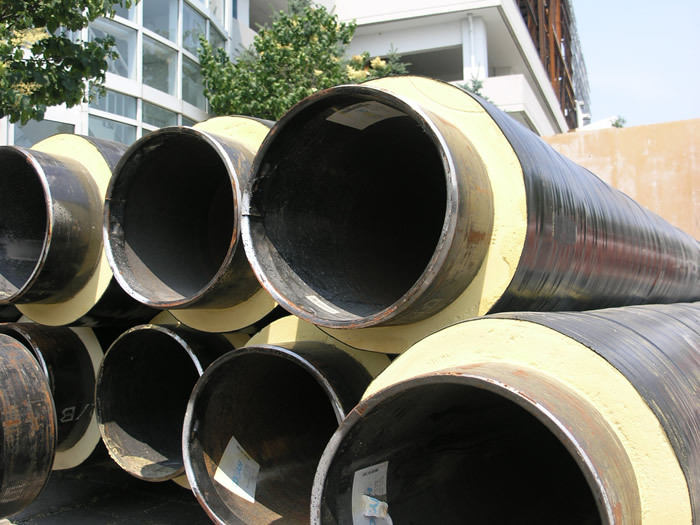 The pipe is pre-insulated in their factory and arrives on the jobsite ready to install. Urecon proudly distributes LOGSTOR EN253 (European standard) hot water district heating pipe products throughout North America.